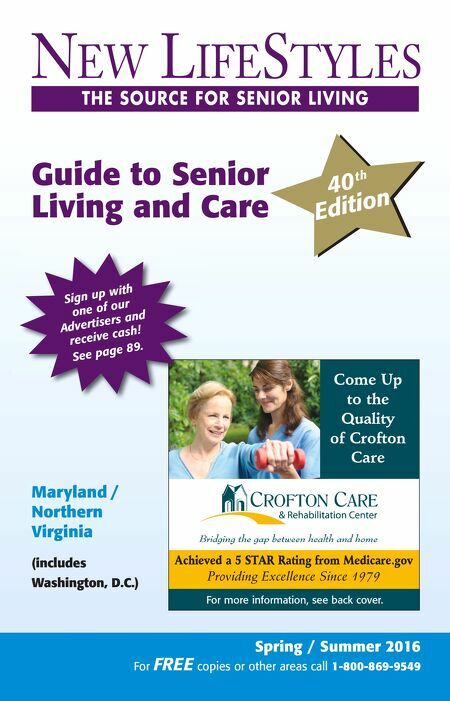 New LifeStyles - Washington, D.C.
Spring / Summer 2016 For FREE copies or other areas call 1-800-869-9549 Guide to Senior Living and Care Maryland / Northern Virginia (includes Washington, D.C.) Providing Excellence Since 1979 Come Up to the Quality of Crofton Care Achieved a 5 STAR Rating from Medicare.gov For more information, see back cover. 40 th Edition Sign up with one of our Advertisers and receive cash! See page 89.